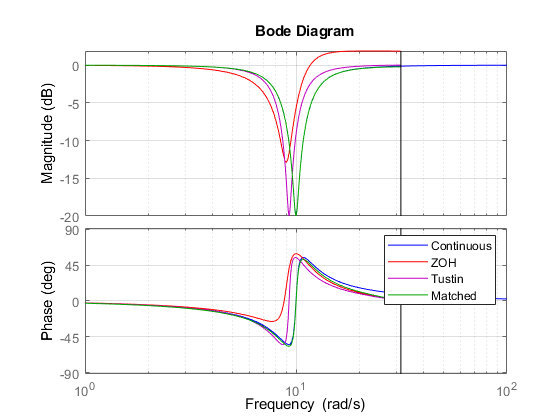 This example shows the comparison of several techniques for discretizing a notch filter. 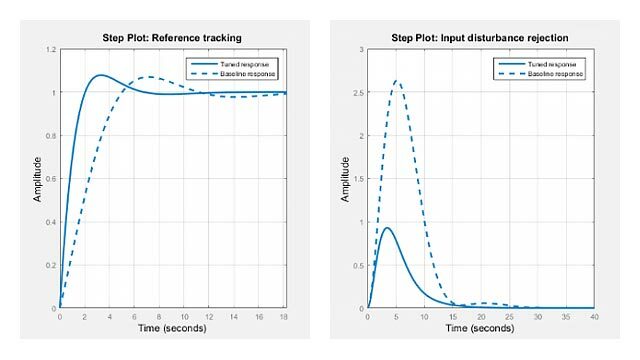 While control system components are often designed in continuous time, they must generally be discretized for implementation on digital computers and embedded processors. 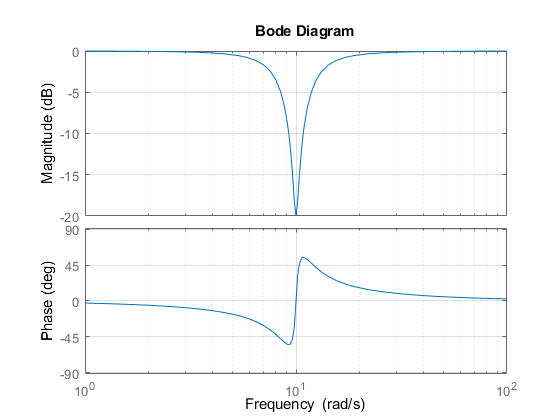 This notch filter provides a 20dB attenuation at the frequency w = 10 rad/s. Which method to choose depends on the application and requirements. 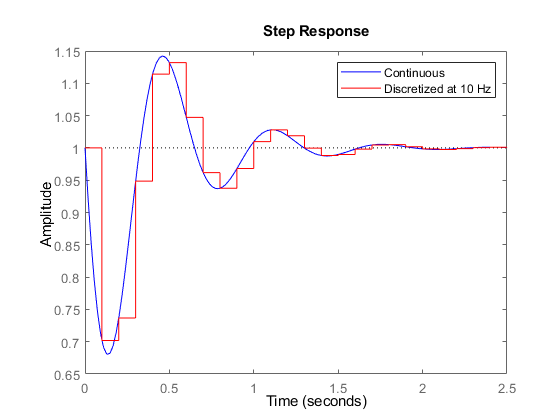 The higher the sampling rate, the closer the match between the continuous and discretized responses. 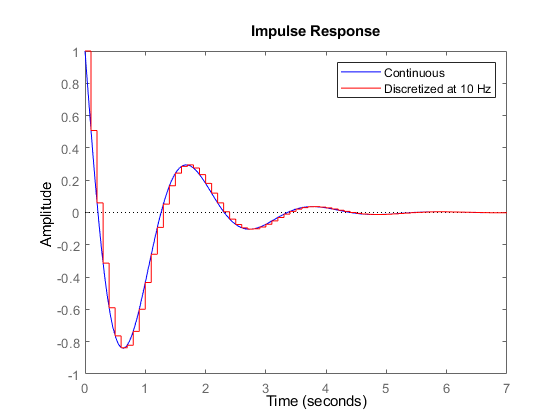 But how small can the sampling rate be, or equivalently, how large can the sampling interval be? 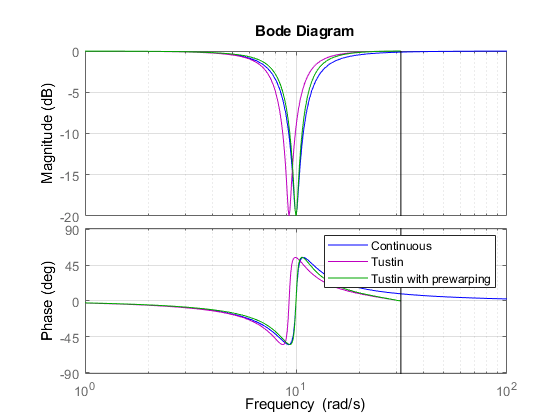 As a rule of thumb, if you want the continuous and discretized models to match closely up to some frequency wm, make sure that the Nyquist frequency (sampling rate times Pi) is at least twice wm. 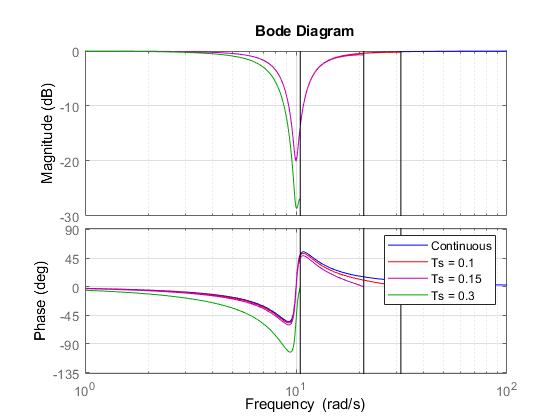 For the notch filter, you need to preserve the shape near 10 rad/s, so the Nyquist frequency should be beyond 20 rad/s, which gives a sampling period of at most pi/20 = 0.16 s.
As predicted, the discretization remains fairly accurate for Ts < 0.16 but starts breaking down for larger sampling intervals. 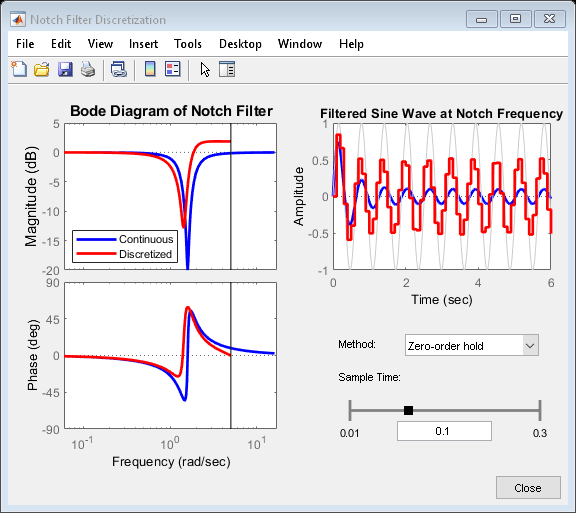 Click on the link below to launch an interactive GUI that further shows how the discretized notch filter is affected by the choice of discretization algorithm and sampling rate.